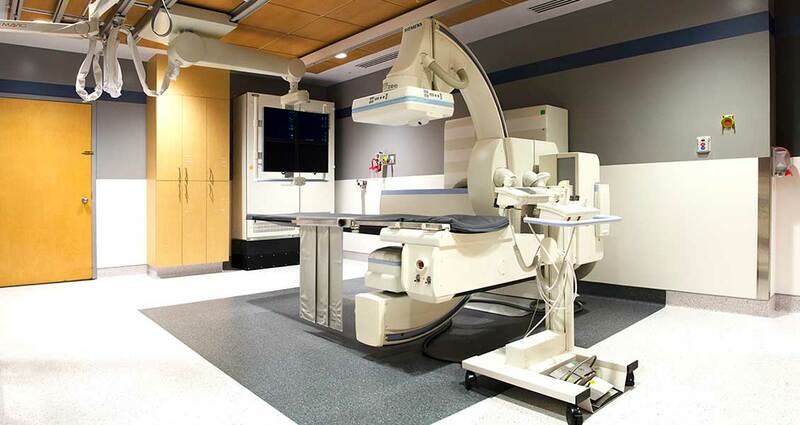 The KGH Multipurpose System was a renovation project consisting of an existing room within the KGH Royal Building in the Medical Imaging department. 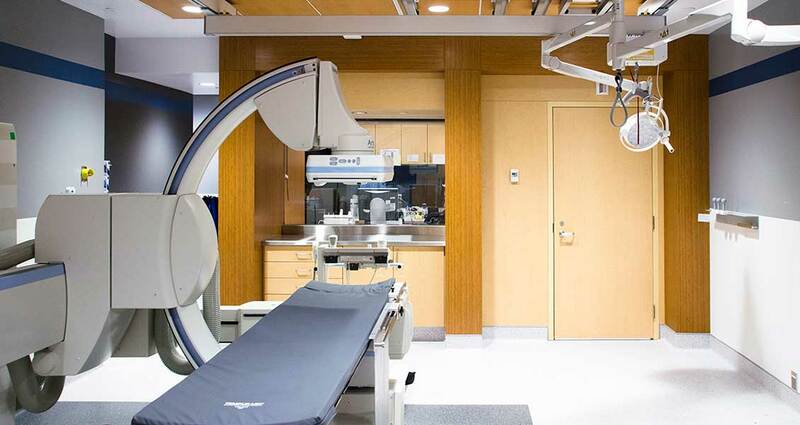 The Multi-Purpose room project included the removal of the existing equipment, complete demolition of the room including a washroom. 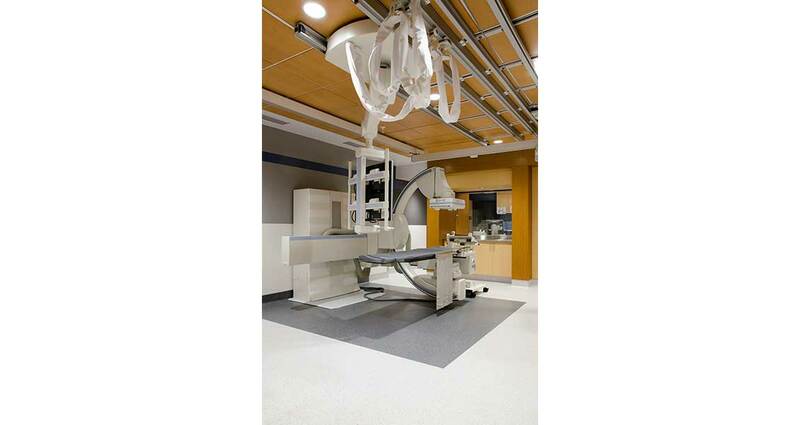 The newly designed space includes all new finishes and coordination of new unistruts and ceiling lift. 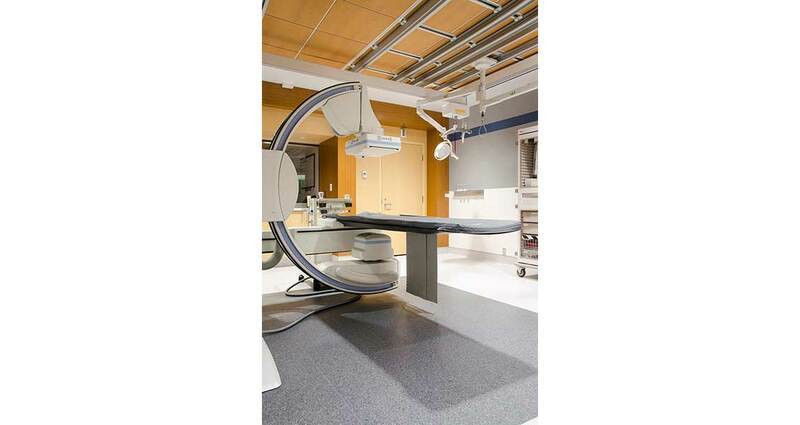 The challenge for the Multipurpose System renovation was to provide a clean, durable space that adheres to Infection Prevention and Control standards, while also providing warmth and a contemporary feel to ease the patient during what can be a very traumatic and daunting experience. 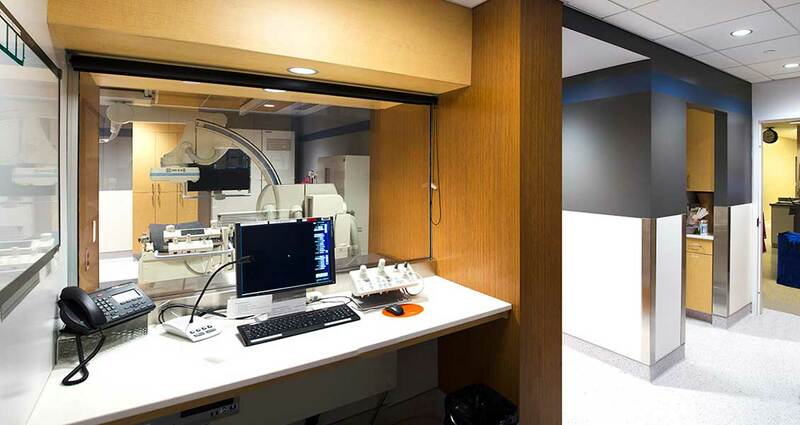 The concept was to create a wood feature wall which acts as a radiation shield where the physician controls the Multipurpose machine producing diagnostic imaging of the patient. 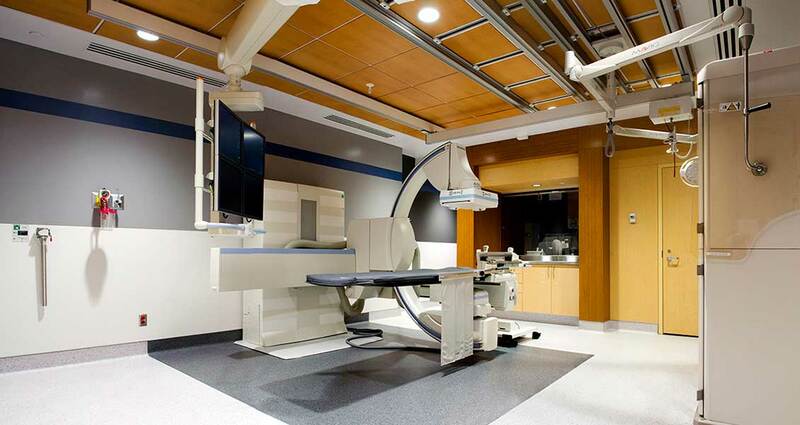 The wood ceiling along with the lighting being 1% dimmable, helps to create a calm atmosphere and pleasant patient experience.